Do you love classic beveled glass, but find your home needs a more contemporary look? Believe it or not, you can have both! One customer found themselves in this position, and we created a custom solution that is both classic and contemporary. They chose a geometric design for their glass door. Then, we customized the look with two coordinating sidelights and transom for a grand effect. If you love beveled glass AND contemporary style, you don’t have to choose. 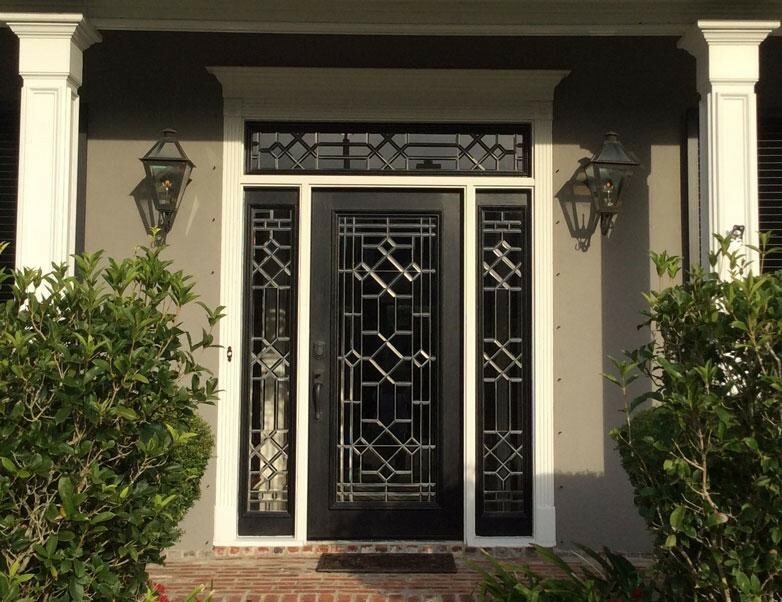 We offer in-stock and custom contemporary beveled glass doors – browse doors here or give us a call at 504.887.5440 to find out more about how we can help you have it all.